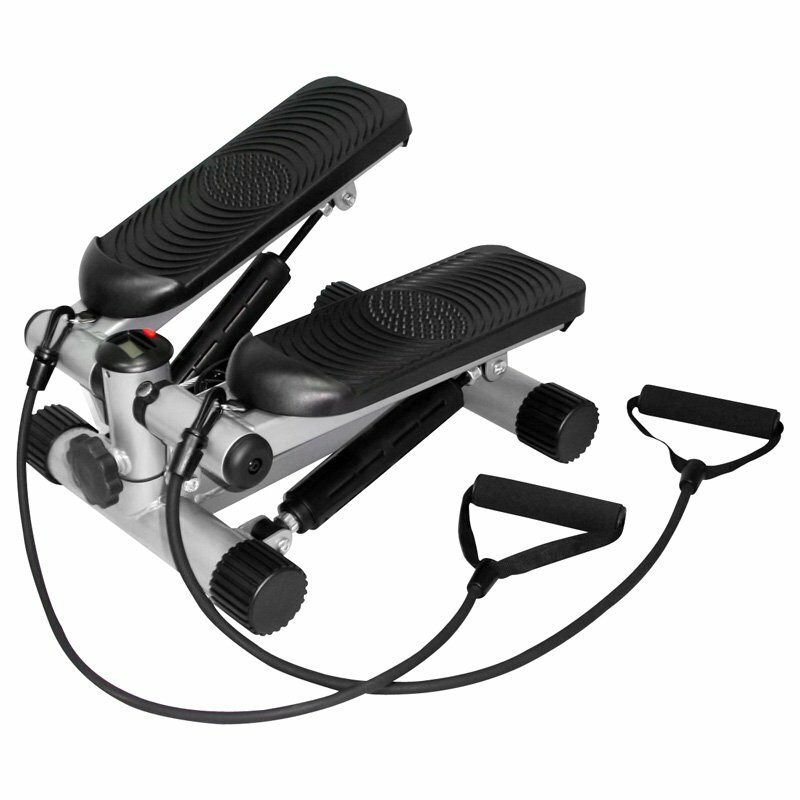 This is the summary of consumer reviews for Stamina Body Trac Glider 1050 Rowing Machine. The BoolPool rating for this product is Good, with 3.80 stars, and the price range is $125-$170. 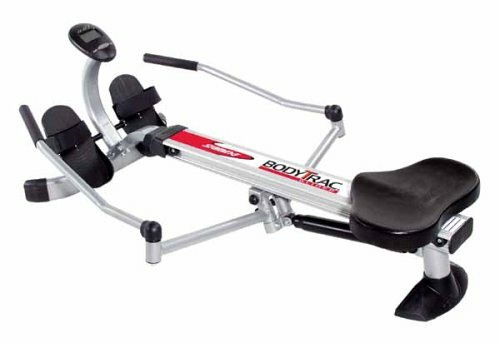 Stamina Body Trac Glider 1050 Rowing Machine offers a unique full range of motion rowing action with its oar-like rowing arms. 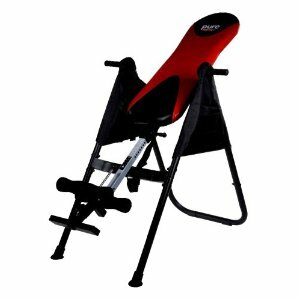 It has a very sturdy, rigid, and well-built frame with adjustable shock resistance and rowing tension. It allows you to easily change the level of your workout. It is very easy to assemble. The unit folds for easy storage when not in use. Some users experienced leakage of oil from the resistance cylinder. Users also complain that feet don't stay strapped to the foot plates and foot straps break easily. Users recommend using extra Velcro straps for better feet reinforcement. work up a sweat, easy to use, easy to assemble and packs away. It was easy to assemble and functions well. The tension adjustment is easy to use as well. The seat isn't well padded. 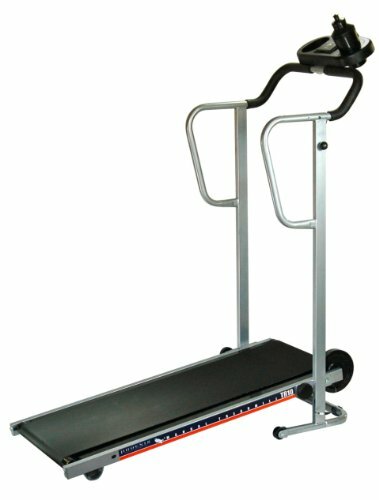 I wanted an inexpensive rowing machine that'd hold up well, be easy to store and be used three times a week. the tension adjustment is real easy to use. 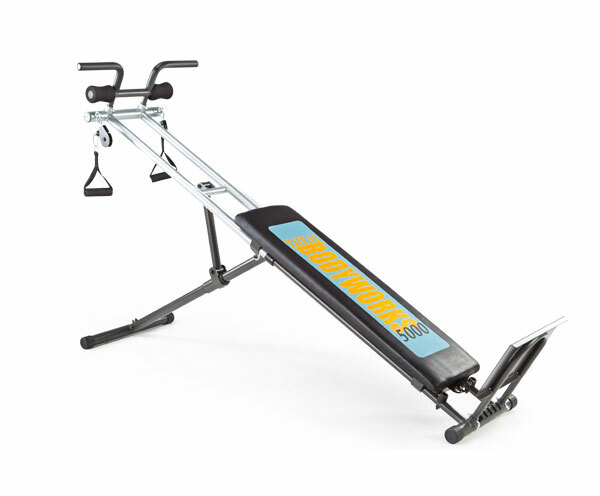 Although easy to use, you can feel it working the muscles in the arms, legs and core and I expect to see results.Cons: Feet sometimes slip out of the foot rest. Nice, sturdy product for the price, and assembly was a snap. 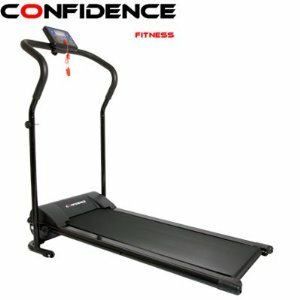 I recommend this product highly for a quality, low-impact, full-body workout in half the time of other routines. Product was fairly easy to assemble and easy to use. This's a very well made product. Overall, the product isn't very good for woman.....my feet (with sneakers on) keep slipping out of the ties. Lesson learned: always buy online products from reputable vendor. Received replacement via UPS in three days, this time UPS handled the shipment more carefully and product came in good ship. The product itself is well worth the money and I enjoy rowing on it for a long time. Overall, this's a great product for the price and I highly recommend it!. The first rower I bought (a different brand of rower) broke down after 15 min of use, but the Stamina Body Glider is well built and very easy to use. Having gone through two other rowers previously, each in the $300 - $650 price range, I considered it a significant risk to pick up a really low end rower. 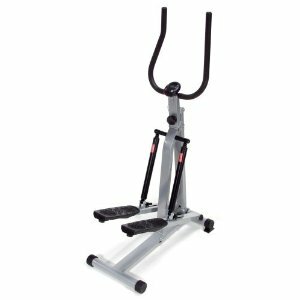 As a daily aerobic exercise which is easy on the joints and helps keep you healthy, this's great, though, for an excellent price!. Though this rower was less expensive, it appears to be of higher quality than my old rower. I can't believe you'll find a better rower for the price with free shipping. The rower arrived more than a week before the projected delivery date.Overall, I consider this rower a good value for the money. The multiple piston resistance settings are quite nice, especially compared to my previous magnetic-driven rower, and the single piston design makes the unit quieter than my previous dual-piston unit. All in all a wonderful rower for comparatively little money. The shock absorber began breaking down slowly, first occassionally losing resistance around the 30 minute mark of working out , to eventually giving out completely. Fifth, after 3 months of use, the piston began leaking alot of oil, making the rower pretty useless since there's no longer any tension. I haven't noticed any oil leaking, but it definitely lost resistance over time. The basic stuff you need to know: There are 12 levels of resistance (I was using resistance level 8). You can change the resistance whenever you want more resistance. That makes your workout rather pointless, since you're in fact performing only last part of the rowing motion, with low resistance. I used it almost daily then the resistance cylinder eventually leaked oil and lost all pressure rendering the machine useless. The shock has 12 different resistance levels, and if I'd to equate the first 7 levels to lifting pounds I'd do so as follows (and some might disagree):. You can change the resistance from levels 1 to 12. One of my only gripes is that the resistance cylinder started leaking oil after about 5 uses and now leakes a small amount every time my wife uses the machine. Good workout on arms and legs. 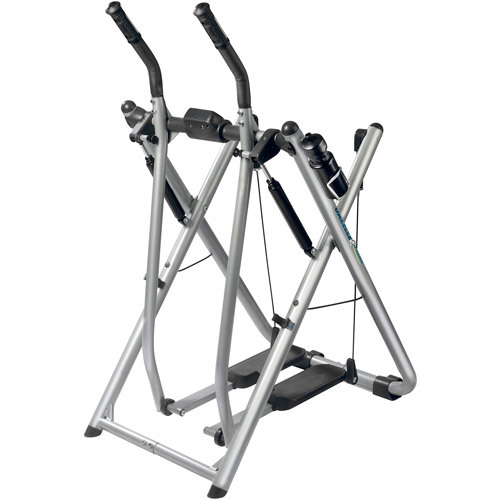 It's very easy to assemble and provides a nice workout. 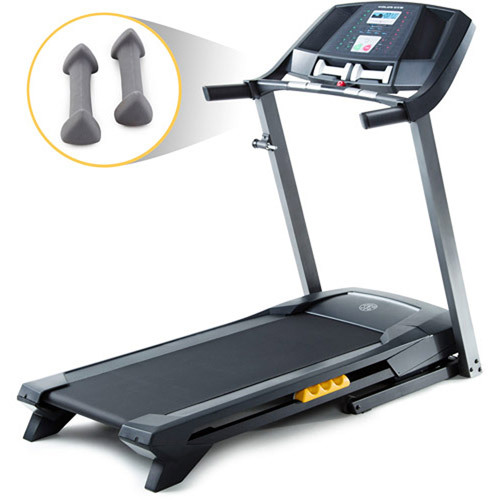 It provides a good workout, smooth rowing, and stores nicely. Me? I'm still a "Gym Rat" but because of my constant Gym Workouts, Ive seen a. lot of workout equipment. This's an awesome workout for my arms! My first day my legs and arms could feel the workout. Really great workout - easy or as hard as you make it. I get a good arm and back workout with it. Plus it's really quiet so I don't wake up my sleeping beauties while I'm getting a workout. works my upper body good. It works on your total body: shoulder, arms, belly and legs!. This one works just as well and I get a great work out. Works as promised and went together fairly easy. When I realized that my overall body fat percentage was close to 20%, I decided to look for a home rower because it seemed to be a good cardio workout which work almost all your main muscle groups and also tone your body. This unit will work you!. So far it seems to work okay. I get a good shoulder and leg workout. Cardiovascular work outs are value added exercise and often times it comes with having to go somewhere. A smaller foot will need reenforcement (extra velcro straps). I solved that by wearing sneakers and strapping my feet really tight, no need for additional strapping or anything else. Using a rower requires your feet to be planted securely, and the straps and their location on the foot rests need re-design work. The foot rest straps leave a little to be desired! I'm 5'2" and I do agree that the foot pedals are pretty big, but I just strap my feet in really tight and they stay! That night I cranked down on the foot straps too hard and pulled the right strap right off the black plastic foot rest, cracking the plastic and diminishing its functionality. What I mean by that's that the foot pedals are awful, the straps don't really hold your feet in. Had it out of the box and assembled within 30 minutes.My only complaint is my feet don't stay strapped to the foot plates. * about the 10th time i used it the right foot strap broke. I've solved that issue by adding velcro straps higher up on my feet -now it's perfect!.